From Okinawa Soba's Flickr stream, several vintage photos of geisha. This one stood out to me not only because it's strikingly pretty, but because it's unrestrained in a way that I don't associate with Japanese aesthetic. 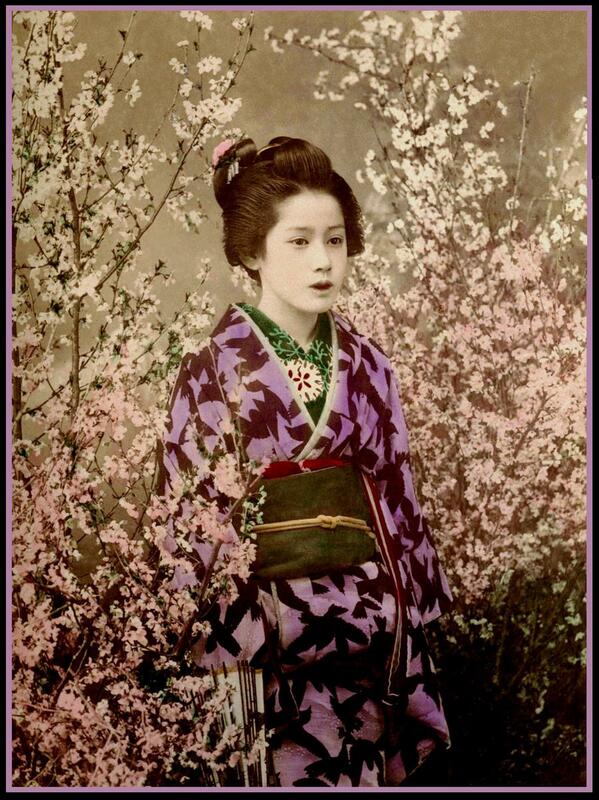 Instead of a few wandering tendrils of blossoms, she is completely enveloped by an explosion of dense blooms.